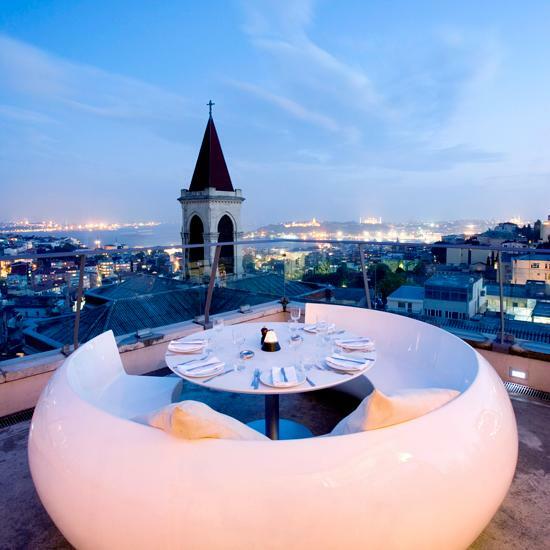 I’ve heard she is a big fan of junk food, so I would hope pizza would suffice if we went to dinner at one of the top-rated restaurants for its view – 360 Istanbul. According to Food & Wine magazine, this place is an “impossibly sleek Beyoglu restaurant, [where] South African–born chef Mike Norman’s global dishes—from Lebanese kibbe to delicious thin-crusted pizzas—are fun”, and “the scene and the views are the real reasons to come”. I imagine the evening would consist of exchanging stories – embarrassing moments, major accomplishments, pets, family life, friends, you name it – and enjoying the various, fun foods 360 Istanbul has to offer. Having won two Oscars by just 22 years old, I would love to learn how J.Law. came to be who she is and as accomplished as she is. I would enjoy hearing about her experiences as an actress and how she hopes to use her celebrity status to impact the world. Really, just learning about an industry and career I know very little about, from someone as relatable as Jennifer, would be an amazing opportunity and a great learning experience. I would love to crash this dinner date! Seriously though I think it would be interesting to see what Jennifer Lawrence is like outside of the spot light. I also just really want to be her friend! Jennifer Lawrence is awesome. She is one of the most down-to-earth celebrities in Hollywood and boasts about the normal life she is still able to maintain. besides being her bestie for the night, what type of topics would you hope to explore? What would you hope to gain from the interaction? Good choice for a meeting spot! 360 Istanbul is a great restaurant, and is named as “360” because the whole restaurant is surrounded by windows to maximize the guests ability to view the beautiful city of Istanbul from all degrees. I have been there to eat couple of times, and they have non-traditional, but great tasting food. It is a venue where you can sit and talk for hours and hours with Jennifer Lawrence without getting bored. She really does seem genuine in interviews and what not. And it would be hard to do when you get asked such inane questions. Have you seen her in Winter’s Bone. Her break out performance. She stole American Hustle too. Nuts.